Incoming freshmen members of the House of Representatives from both parties took a group photo outside the Capitol this month. 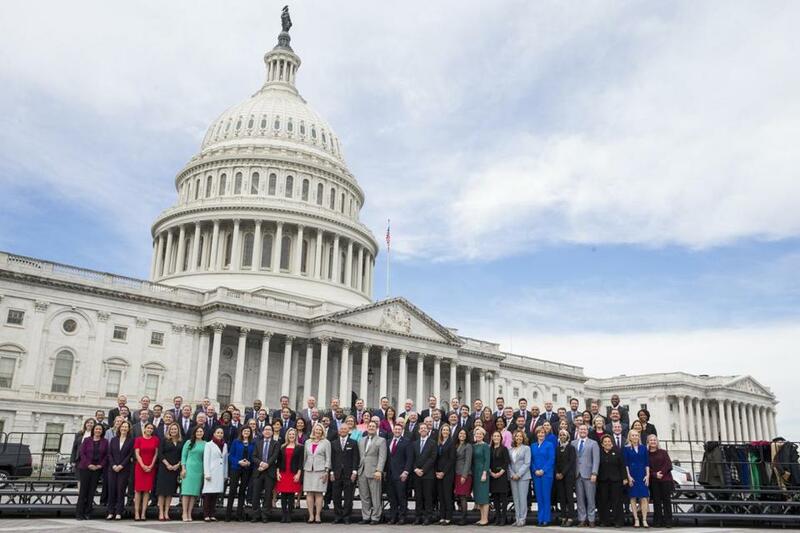 WASHINGTON — The graying Capitol got a jolt of youth earlier this month when a new class of House lawmakers, smartphones in hand, descended upon Washington for their freshman orientation. But this ambitious class of younger members has entered a Washington where age and power seem more intertwined than ever before. Make that old age and power. Donald Trump is the oldest man ever elected to the presidency. Ruling the Senate is Mitch McConnell, 76, along with key committee chairs including Richard Shelby, 84, and Chuck Grassley, 85. And, perhaps most jarring to these freshmen, three Democrats in their late 70s are running unopposed in elections this week for the top leadership spots in the House, 12 years after they first led the House together. Nancy Pelosi, 78, and her two top deputies, Steny Hoyer, 79, of Maryland and Jim Clyburn, 78, of South Carolina, would make up the oldest leadership trio for Democrats since at least the beginning of the last century, with a combined age of 235. The freshman Democrats, by contrast, are the youngest group of newly elected members since at least 2002. Their average age is 45, which is a drop of eight years from the freshman Democrats of 2016, according to Casey Burgat of the nonpartisan R Street Institute, a nonpartisan organization that promotes free markets. The septuagenarian lock on power on the Democratic side of the House has rankled young progressives and helped to fuel the restlessness behind the attempt by a small group of “Never Nancy” rebels to block Pelosi from becoming speaker, even though no one is running against her. 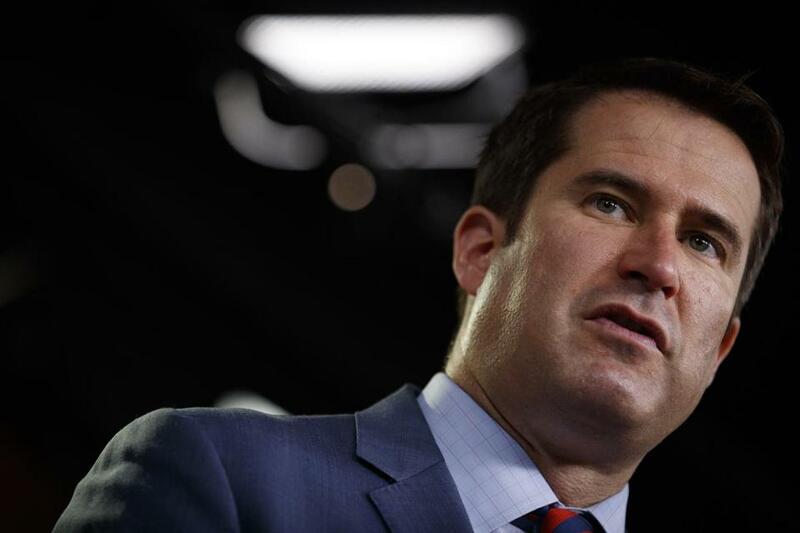 Seth Moulton, 40, the Massachusetts Democrat who is leading the anti-Pelosi contingent, has been careful not to center the case against her on her age. But he has called for a “new generation of leadership,” and pointed to the new slate of young and diverse members-elect — 12 of whom have vowed not to support Pelosi — as an implicit rebuke of the old guard. Still, even some of the freshmen who took on longtime lawmakers to win their own seats — like Ocasio-Cortez and Massachusetts’ Ayanna Pressley — are considered likely to back Pelosi, who has been flipping members opposed to her and seems increasingly in line to reclaim the top spot. Pelosi is running on her longtime experience making deals in Washington, arguing that no one else could get the job done as well. “Rookies need not apply,” Rahm Emanuel, President Barack Obama’s former chief of staff, tweeted in support of Pelosi Tuesday. And some critics — including constituents who showed up at a town hall for Moulton last week — have painted the effort to unseat her as ageist or sexist. Washington has long run on seniority, and that has been especially true of the House, where hopeful members can hang on for decades to gain a chance at a coveted committee chairmanship. That long, patient wait for clout is about to pay off for some in the New England delegation. But last year’s Congress, one of the oldest ever, set a standard for aging in place. The longer a member of Congress serves, the more time that member has had to build support he or she can draw on during leadership elections, meaning that power begets more power. Republicans have taken steps to break the hold of seniority, including creating a six-year term limit for committee chairmanships. The House GOP leaders — outgoing Speaker Paul Ryan, 48, and Kevin McCarthy of California and Steve Scalise of Louisiana, both 53 — are a historically young team. 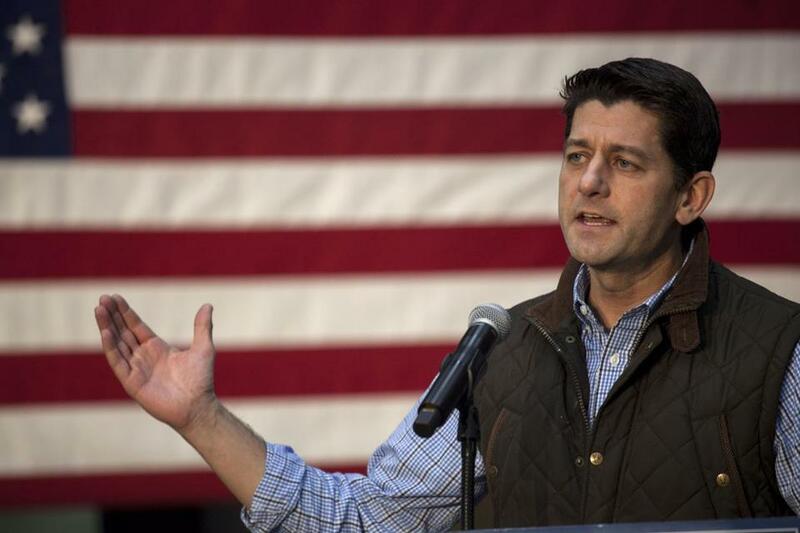 The current set of GOP leaders — outgoing House Speaker Paul Ryan, 48, and Kevin McCarthy of California and Steve Scalise of Louisiana, both 53 — is a historically young leadership team. That generational shift in the rival party makes it all the more frustrating for ambitious Democrats like those swept into office this month, who may well find they have scant opportunities to move up. In the past, talented younger House Democrats like Beto O’Rourke of Texas left to run for higher office rather than wait around for a couple of decades to gain any real power in the House. In 2016, facing growing criticism, Pelosi mollified younger members by creating new leadership positions for them, but she has suggested it is not her job to find a replacement for herself. “Do members want somebody anointed? I don’t think they do. The person has to emerge,” she said, according to The New York Times. And many Democrats say Pelosi has been rightly rewarded by her party for her decades of legislative experience and canny political instincts. And Eddie Bernice Johnson, the Texas congresswoman who will be the oldest Democrat in the House next session, according to The Washington Post, said age and experience are crucial to a successful Congress. Johnson, who was elected in 1992, is expected to ascend to the helm of the Science, Space and Technology Committee in the new Congress. It will be her first time chairing a full committee, at the age of 83.